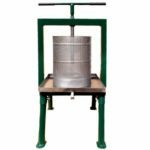 Take the work out of juicing with this solid hydraulic press! With a simple bottle jack you can exert upto 5 tons of pressure on your pulp. 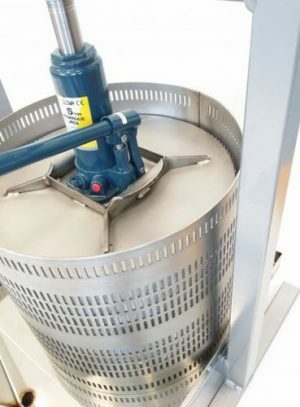 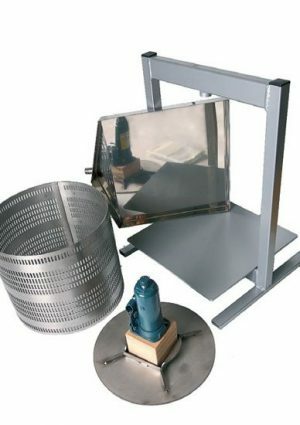 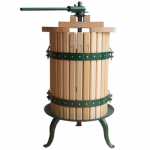 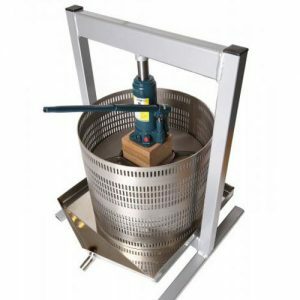 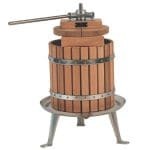 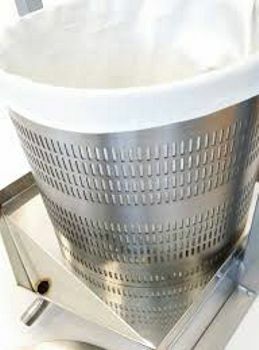 The stainless steel basket, pressing plate and tray make this suitable for intensive or frequent use, as wooden parts need to be dried after use to avoid expansion problems. 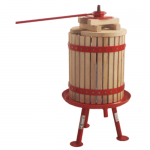 This hardwearing, longlife equipment will achieve the maximum juice yield for the minimum of effort.